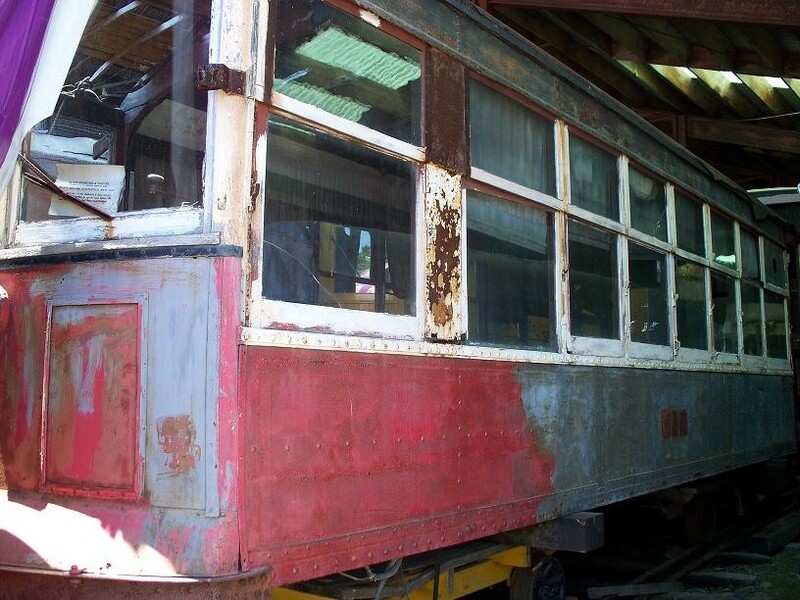 The famous "first car" of the Seashore Trolley Museum collection is Biddeford & Saco open car 31, but the "other" B&S car is this 1920 Wason-built Birney numbered 615. The car is currently in storage awaiting restoration. Photographed by Frank Hicks, June 24, 2007. Added to the photo archive by Frank Hicks, July 2, 2007.